Should you get Botox Injections to erase your wrinkles? What is Botox? It is a medicine that is used to smooth fine lines and prevent them from turning into wrinkles. It is the trade name for Botulism Toxin strain A. Now where have we heard of Botulism before? Yes, that’s right. It is a form of food poisoning that happens from the bacteria Clostridium Botulinum. Botulism can lead to severe paralysis since the toxins attach themselves to neurotransmitters responsible for contraction of muscles and stop them from contracting. So if they attack the heart, it stops beating. So what does this have to do with Botox injections? For that let’s see how Botox Injections work. 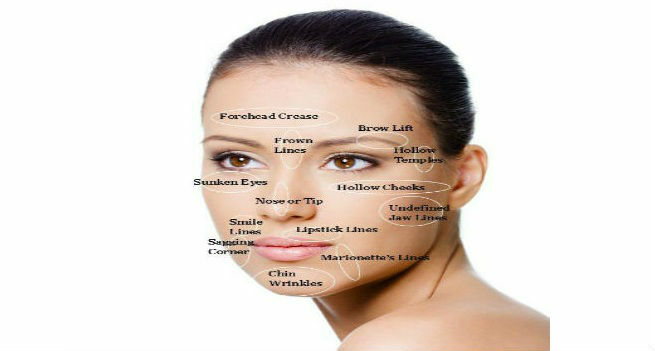 So when is it that you get fine lines on your face- frown lines on your forehead, crow’s feet around the eyes- they all occur due to the movement of the muscles. If you prevent the muscles from moving, you can stop the lines from occurring. That is the ingenious concept on which Botox treatment is based. The botox injections are a purified form of Botolism toxin, thereby ensuring that you do not stand the risk of an infection. On injecting a botox injection in the area around the eyes, you paralyze that region for an extended period of time and do not allow it to move. Naturally, crow’s feet are not formed around the eyes. The same stands good for laugh lines and frown lines. The treatment simply involves injecting botox in the area that needs to be made smooth and can be over within an hour. Botox is so widely popular because it is so effective in erasing fine lines. The duration of the effect varies from person to person. It is safe to say that it will last a minimum of three to a maximum of six months. A vial of injection costs $15 and depending on which area you want to get the treatment done on, you may need multiple vials. On an average, getting the treatment done on an area like the area around between the eyes or the area near the crow’s feet will cost you around $400. The most common side effects are headache, pain at the injection site, bruising and drooping eyelids. These subside in a day or two after the sitting. You may also experience flu-like symptoms, respiratory trouble, fever and neck pain. These can be due to an adverse reaction to the injection and you would need to contact your physician immediately. More importantly, botox will cause your face’s natural expression to happiness or sadness change – it makes your face frozen. It will be difficult to make out laugh lines or frown lines, making your expression artificial. Should you get it done? Ultimately, it is a personal choice. Remember that it an easy procedure of getting a few injections in your lunch break to erase the lines on your face. But it is also a recurring expense. Think about having to shell out $600 every 4-6 months in order to keep up your renewed look. Also consider the probable side effects. If you still want to go ahead, get it done from a certified professional and not at a botox party and try to keep the dosage low. Want Long Hair? Use Flax Seeds For Hair Growth. Here Is How.